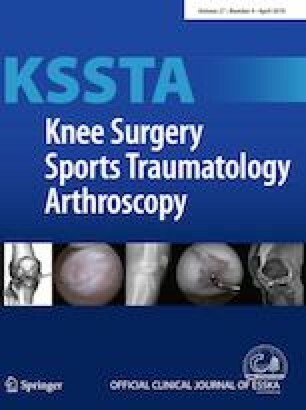 To evaluate the mid-term outcomes of anatomic medial complex reconstruction in cases of serious medial knee instability. Between 2010 and 2013, 23 patients who underwent anatomic medial complex reconstruction with a minimum 5-year follow-up were included. The Lysholm score, International Knee Documentation Committee subjective knee form (IKDC SKF), and Tegner activity scale scores were evaluated. Clinical and functional tests included valgus and sagittal stress tests, isokinetic muscle strength test, single leg hop for distance test (SLDT), and single leg vertical jump test (SLVT). The mean follow-up duration was 77.2 ± 10.8 months. At final follow-up, the Lysholm score improved from 49.7 ± 10.2 to 93.4 ± 12.4; the IKDC SKF score, from 46.2 ± 8.7 to 90.5 ± 13.9; and median Tegner activity, from 5 (4–7) to 7 (4–10) (P < 0.001). The mean side-to-side difference on valgus stress radiographs was significantly reduced to 1.2 ± 0.7 mm postoperatively compared to 8.5 ± 1.6 mm preoperatively (P < 0.001). The mean side-to-side differences on anterior and posterior stress radiographs were significantly improved in concomitant ACL and PCL reconstructions, respectively (P < 0.001). Preoperatively, 17 patients (73.9%) had anteromedial rotatory instability (AMRI), but none had AMRI at the last follow-up. The extensor peak torque and Limb Symmetry Index (LSI, %) improved from 128.2 ± 42.9 to 225 ± 39.4 N m/kg and from 61.4 ± 19.6 to 88.7 ± 21.7%, respectively (P < 0.001). The LSI (%) for SLDT and SLVT improved from 56.8 ± 19.5 to 87.3 ± 14.2% and from 68.1 ± 21.1 to 91.1 ± 12.8%, respectively (P < 0.001). No patient had a restricted range of movement. Although posteromedial corner injuries that need medial complex reconstruction are extremely rare, proper anatomic medial complex reconstruction of the medial collateral and posterior oblique ligaments achieved satisfactory clinical and functional outcomes at mid-term follow-up in cases with chronic symptomatic valgus and rotatory laxity. This study was performed with the approval of the ethics committee of Konkuk University Medical Center (KUH1060156).